Special Olympics Minnesota enhances the human potential and quality of life for children and adults with intellectual disabilities by offering year-round sports training and competition. By sharing their joy and courage, our athletes inspire the human spirit in all of us. Founded in 1968 by Eunice Kennedy Shriver with the belief that individuals with intellectual disabilities can participate fully in their communities and in life, Special Olymics is the largest, fastest-growing sports program in the world. Special Olympics represents more than 2 million athletes in more than 150 countries worldwide, and was begun in Minnesota in 1973. It is the only organization in Minnesota, the United States and the world utlizing the unique benefits of sports to improve the lives of people with intellectual disabilities. Special Olympics Minnesota continues to grow thanks to the volunteering and financial support from individuals, businesses and civic organizations. 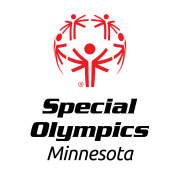 Special Olympics Minnesota accepts donations. Donate Now. Would you recommend Special Olympics Minnesota? Love working for this organization! Truly one of the best and most passionate organizations in Minnesota. I have done Special Olympics Minnesota the past two years with my Mom's work. We managed the Karaoke Tent at the big show. I was so disappointed to hear that I was unable to volunteer this year due to a wedding I had to attend. I would recommend this to anyone who loves to have a good time and help others. It's an amazing program that helps individuals feel important.